Bad news at Reverend Manson's house. Marilyn Manson, in fact, have just lost the drummer Gil Sharone, who left the line-up right now, that the group is finishing a new record. Sharone has been behind the group's drums in the last five years contributing to the two albums released in 2015 and 2017 - it's not clear if he played in the one being worked on. 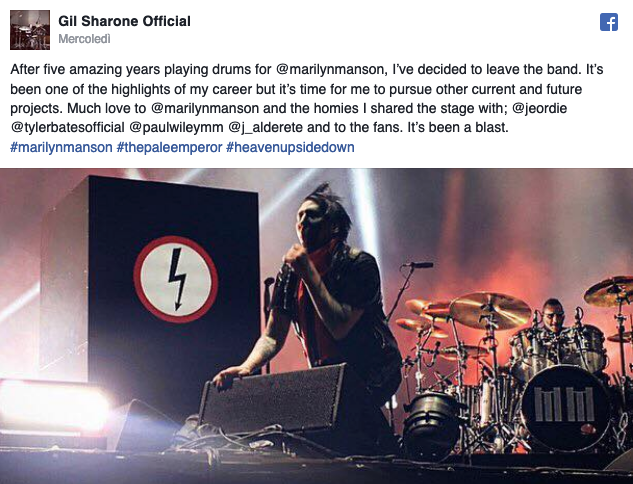 Sharone confirmed his exit from Marilyn Manson in a social media post on Wednesday, 27th March. 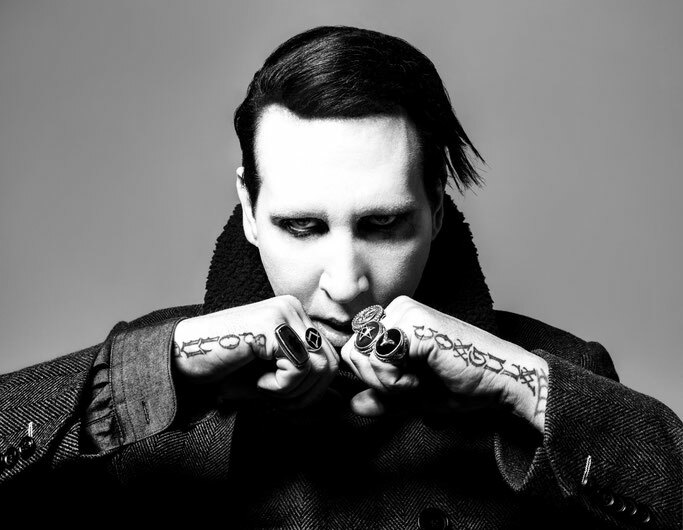 He wrote: "After five amazing years playing drums for @marilynmanson, I've decided to leave the band. It's been one of the highlights of my career but it's time for me to pursue other current and future projects. Much love to @marilynmanson and the homies I shared the stage with; @jeordie @tylerbatesofficial @paulwileymm @j_alderete and to the fans. It's been a blast." Gil established himself in the Jamaican styles playing with legends like Eek-A-Mouse, HR of Bad Brains, and Dave Wakeling, which inspired him to author an award-winning DVD and book, "Wicked Beats".